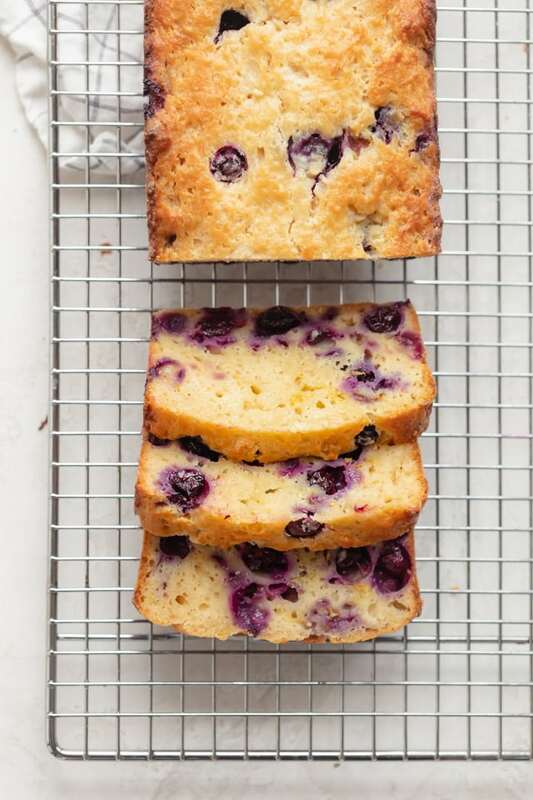 Farewell to March and hello to all things spring, like this bright and beautiful lemon blueberry bread. 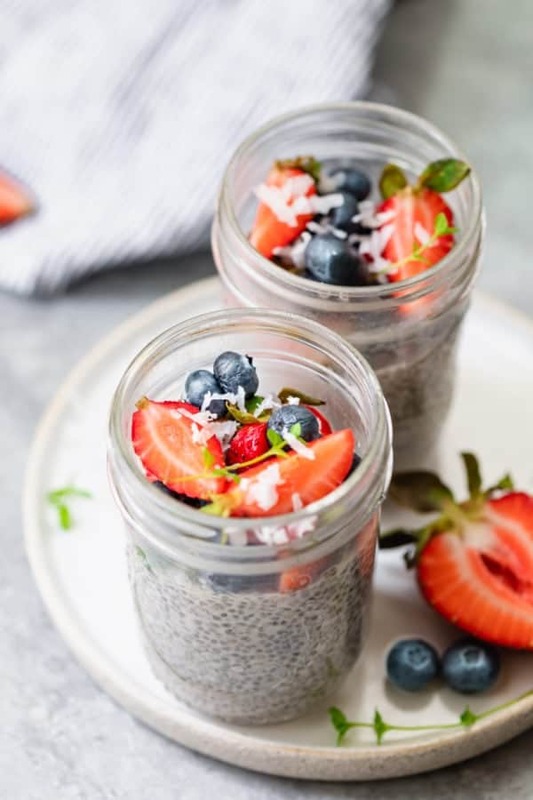 Even if blueberries aren’t quite in season yet, you can usually find them more often by April, and you can certainly use frozen blueberries. 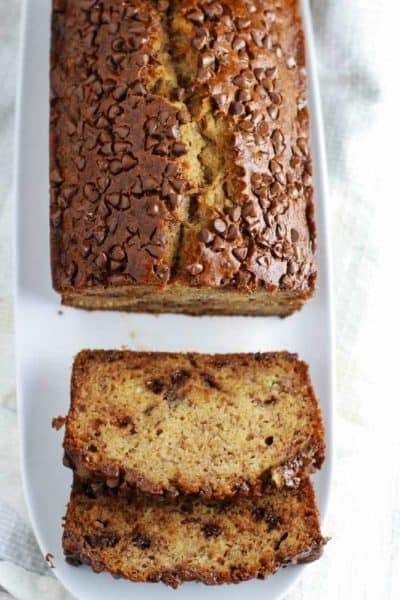 This is a soft and moist quick bread that is packed with flavor, and super simple to make. You don’t need any fancy ingredients. You don’t even need a mixer. You just need patience as the bread bakes in the oven for almost an hour. 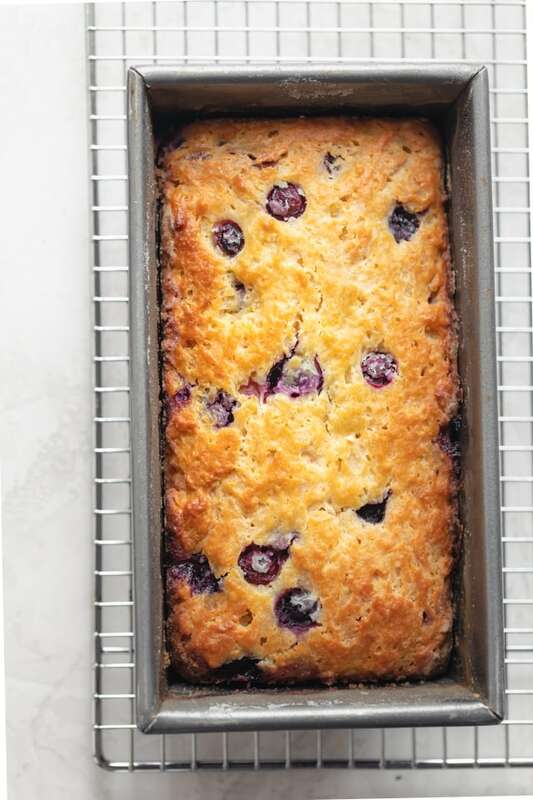 Lemon blueberry bread deliciousness…here we come! 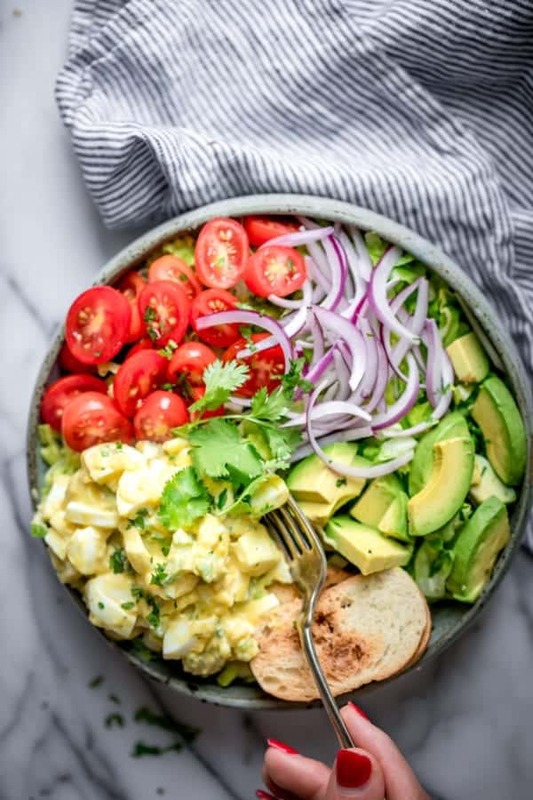 To make the bread, you’ll start by whisking together the wet ingredients: Greek yogurt, honey coconut oil, eggs and lemon juice. Use melted coconut oil, but it may still clump up like it did with me since the yogurt was not at room temperature. That’s no probs. You can use any kind of oil you prefer. 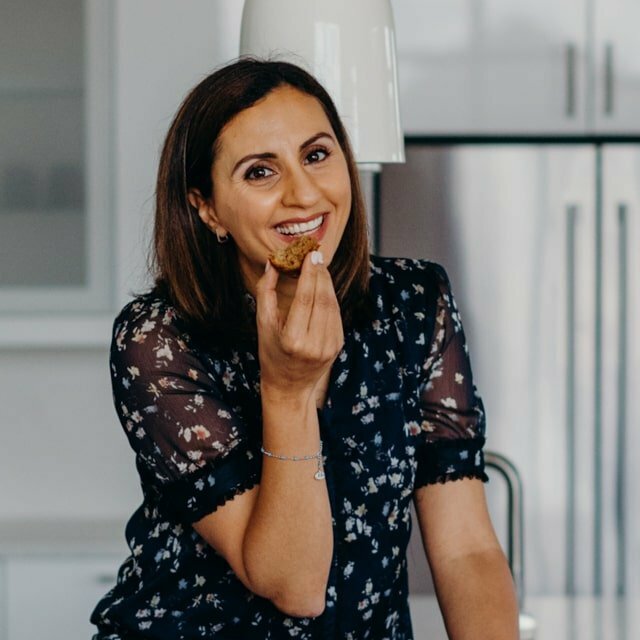 But I would recommend melted coconut oil, canola or vegetable, which all have a mild neutral taste that’s great for baking. Next, whisk together the flour, baking powder, and salt; and transfer the dry ingredients over the wet ingredients. 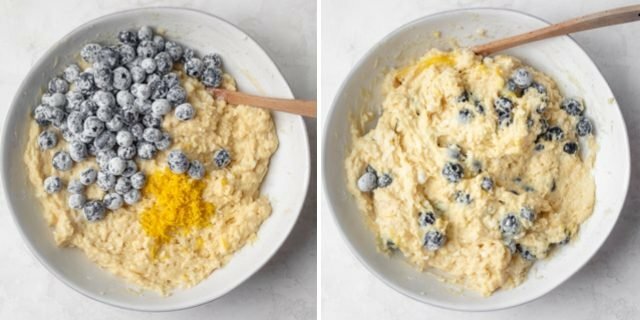 Now it’s time to fold in the blueberries and the lemon zest – aka the flavor bombs! You’ll notice that the blueberries are covered in flour. I do this to make sure they don’t sink to the bottom of the pan while baking. 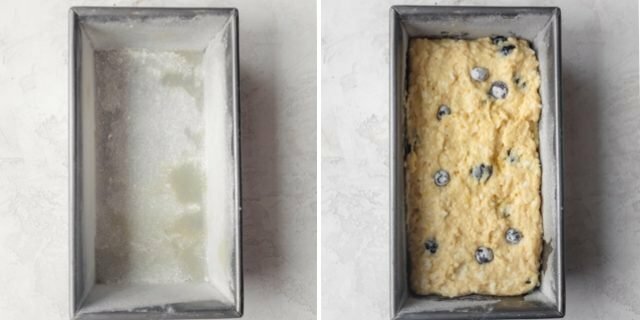 It’s a little trick to keep the blueberries “floating” in the bread. And now it’s time to transfer the batter to the loaf pan and get baking. I like to spray the loaf pan with coconut oil and then dust flour all over to make sure nothing sticks to the pan. And it makes removing the loaf effortless after cooling. 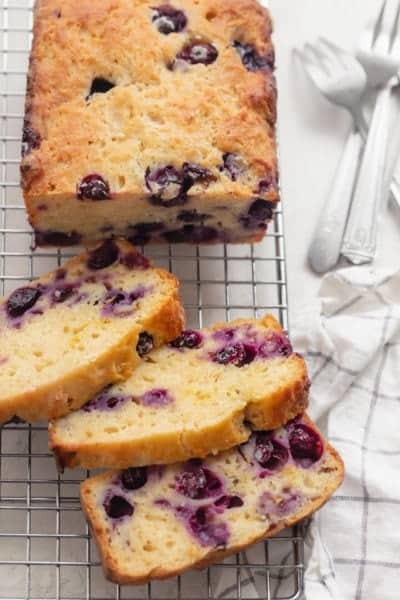 Get ready for the most amazing smell in your kitchen when this lemon blueberry bread is baking, and especially when you remove it from the oven. 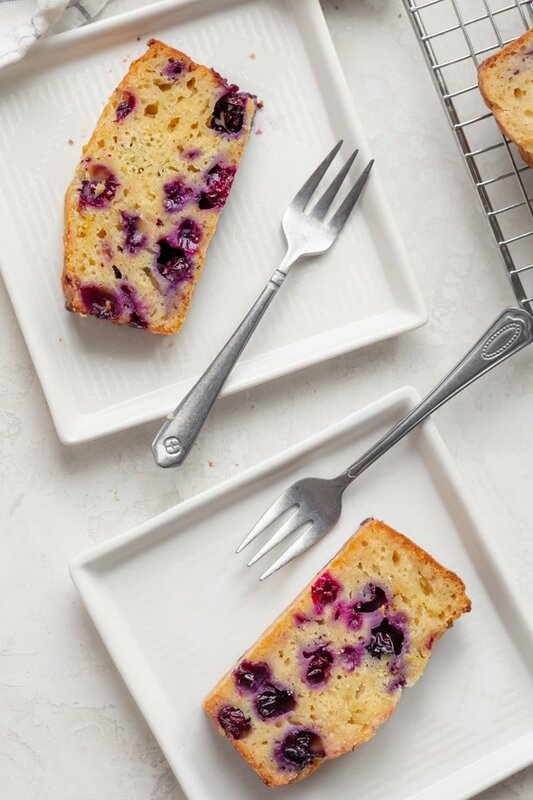 You’ll notice it sorta looks like a pound cake that’s bursting with juicy sweet blueberries and fresh citrusy lemon zest. 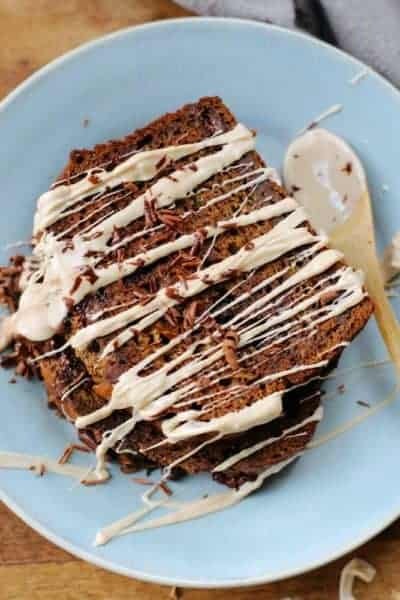 It’s moist, sweet and delicious, making it a wonderful treat anytime of the day! You knowwww we totally had it for breakfast around here! Measure flour by spooning it into measuring cup. 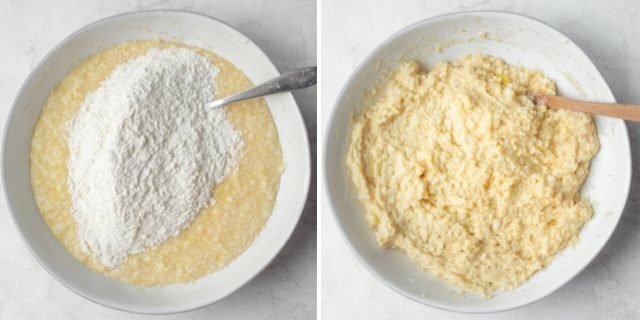 This is ideal for baking because if you scoop the flour from the container, it tends to be super packed into the measuring cup, and you actually end up with more flour than needed, which can lead to a denser bread. Don’t overmix the wet ingredients with the dry ingredients. Just mix until you don’t see any more flour streaks. If you overmix the batter, it can lead to a denser loaf. Substitute frozen blueberries if you have to. The recipe will still taste amazing with frozen blueberries. But make sure not to thaw the blueberries. Toss them in frozen, and fold them in gently without over stirring to avoid the batter turning purple, unless you’re having a purple theme party…then yeah, totally do it! Allow to cool before slicing. The steam that condenses around the loaf pan actually makes it easier to remove from pan so allow for that time. I’m not a huge baker, but I can handle muffins and quick breads. And this is another one of those easy baking recipes that makes you look like Martha Stewart in the kitchen. 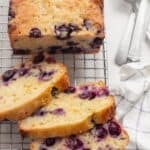 The recipe makes a moist lemon blueberry bread with an amazingly delicious flavor from the sweet bursting blueberries and fresh bright lemons. Plus it’s just really pretty for spring. So I’m all about those bright vibes right now. Hand me a fork and a cup of tea, and I’m in blueberry lemon bliss! 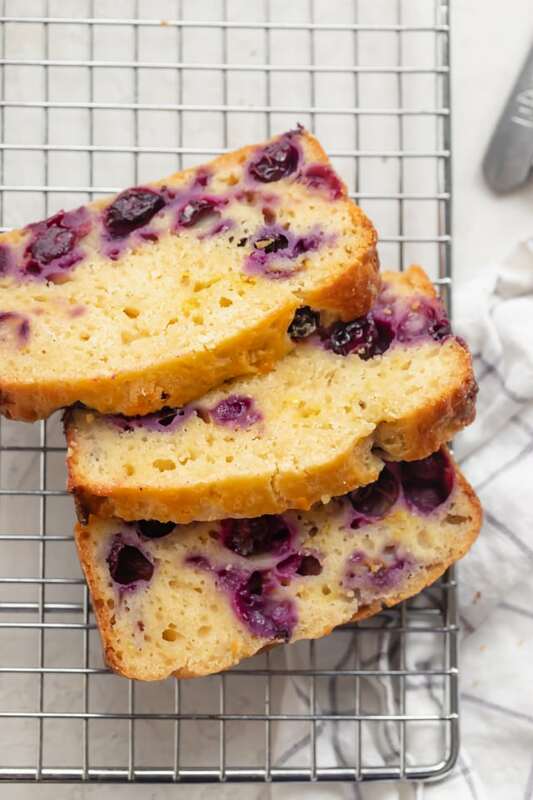 If you’ve tried this healthy-ish feel good Lemon Blueberry Bread recipe or any other recipe on FeelGoodFoodie, then don’t forget to rate the recipe and leave me a comment below! I would love to hear about your experience making it. And if you snapped some shots of it, share it with me on Instagram so I can repost on my stories! Preheat oven to oven to 350°F. Grease and flour an 8x4 loaf pan. In a large bowl, beat the Greek yogurt, honey, coconut oil, eggs and lemon juice. 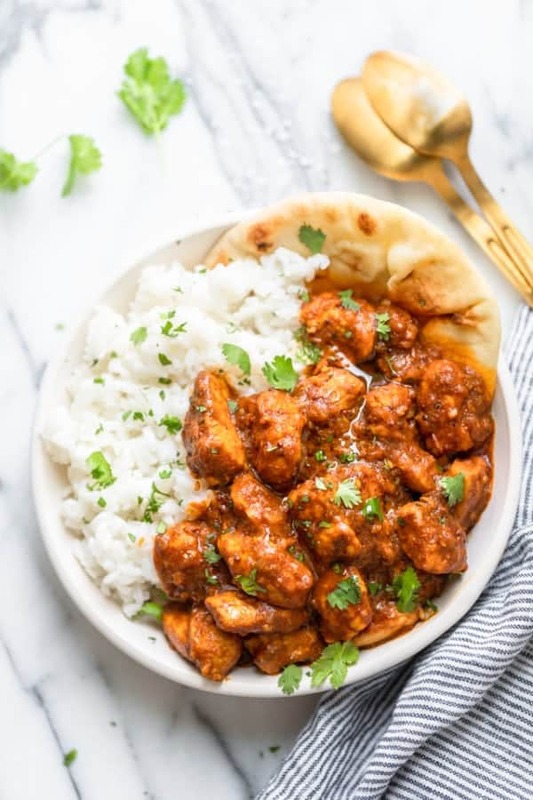 In a separate smaller bowl, combine the flour, baking powder and salt; stir the dry ingredients into the wet ingredients and whisk until mixed through. Transfer to prepared loaf pan and bake in the preheated oven for 45-55 minutes or until a toothpick inserted in the center comes out clean. Cool for 10 minutes before removing from pan to a wire rack. 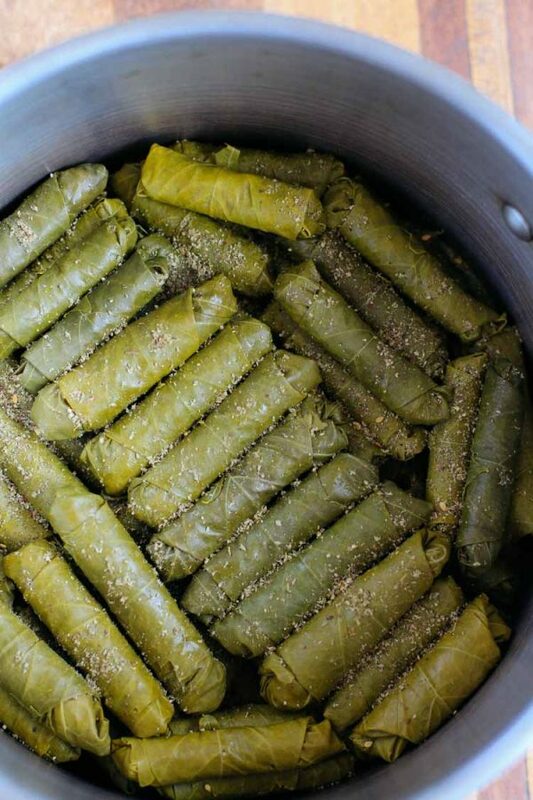 Recipe: Adapted from Taste of Home. I substituted the butter with coconut oil. I switched the milk to Greek Yogurt and I used half the amount of sugar and switched it from granulated sugar to honey. Storage: Store in an airtight container at room temperature or in the refrigerator for up to 4 days. You can freeze the bread for up to 3 months. Just thaw overnight in the fridge and bring to room temperature before serving. 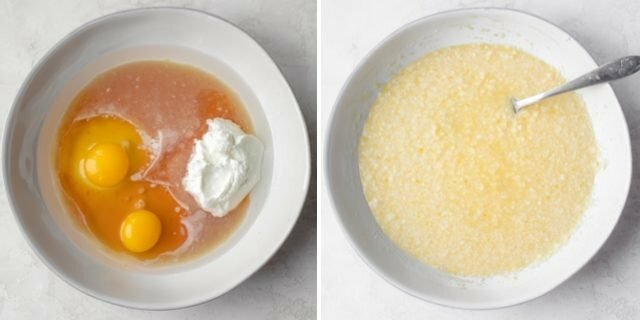 Instead of greek yogurt, you can use sour cream or even milk. Replace honey with other types of granulated sugar or maple syrup. Nutrition: Please note that the nutrition label provided is an estimate based on an online nutrition calculator. It will vary based on the specific ingredients you use. This information should not be considered a substitute for a professional nutritionist’s advice. The nutrition value is for one serving of the loaf, which is 1/12 of it. Only 9 grams of sugar per serving. Good recipe. Love the burst of blueberries.